Sam Wong previously Chief Financial Officer, has been promoted to President and Chief Financial Officer. Mr. Wong has over 30 years of experience in financial management and possesses a strong track record in corporate finance, investment projects and financial controller-ship. Mr. Wong is also highly experienced in the telecom & media sector and in emerging markets. Prior to joining ABS in 2012, he worked as the CFO and EVP at the Hong Kong Stock Exchange and as Finance Director at Hutchison Port Holdings. He is a Chartered Accountant and a Fellow of the Hong Kong Institute of Directors. Carmen Gonzalez–Sanfeliu has been appointed as Chief Commercial Officer (CCO). Carmen Sanfeliu will be responsible for the management of global sales and marketing. Ms. Sanfeliu is a satellite industry veteran bringing over 30 years of satellite telecommunications experience in media, broadband internet, VSAT, cellular backhaul, government, and mobility sectors in the Latin America and the Caribbean region. Most recently, Ms. Sanfeliu was the Regional Vice President of Latin America and Caribbean Region at Intelsat. Ms. Sanfeliu will be taking over from Raymond Chow who previously held the position of EVP Sales and Marketing. Stephen Salem has been appointed as General Counsel. Mr. Salem leads the company’s legal function to support its business and operational activities, and will now also oversee the company’s human resources and administration functions. Mr. Salem brings over 20 years of experience in the satellite, aerospace and pay-TV sectors with expertise in strategic mergers and acquisitions, joint ventures, commercial agreements, and satellite construction and launch agreements. Prior to joining ABS, he served as the Deputy General Counsel at Aerojet Rocketdyne, Inc. He previously held senior legal positions with PanAmSat Corporation and Hughes Communications. Ron Busch previously Vice President, Network Services, is promoted to Executive Vice President, Network Services. Mr. Busch is responsible for overall management of ABS’ engineering operations. He has over 30 years of experience in satellite and terrestrial network engineering, operations, and program management. Most recently, Mr. Busch was Intelsat’s Vice President, Network Engineering and Vice President, Network Operations responsible for all ground design, implementation, and operation. Mr. Busch has also held various engineering and operation positions with the U.S. Air Force, Satellite Business Systems, MCI, Timeplex and Hughes Communications. Justin Derksen is appointed as Senior Vice President, Business Development. Mr. Derksen is responsible for strategic initiatives involving new opportunities and leveraging ABS’ existing fleet and ground network. Mr. Derksen has over 10 years of investment banking experience with Morgan Stanley. He was based in Toronto, Singapore, Jakarta and New York and advised a wide range of clients from early stage companies to large cap publicly listed companies in the Media & Communications and Technology sectors on strategic M&A and capital raising transactions. Most recently, Mr. Derksen was an Executive Director in Morgan Stanley's Media & Communications Investment Banking team in New York with a focus on satellite investment banking. Patrick French previously Vice President Global Business Development is promoted to Senior Vice President, Global Business Development. Mr. French is responsible for global partnerships for new business opportunities as well as ABS’ consumer business portfolio. Patrick French has over 28 years of experience in market research analysis and satellite communications. Previously, Mr. French served as Head of Business Development, Asia Pacific, at Intelsat and as Senior Analyst for Northern Sky Research (NSR) LLC. 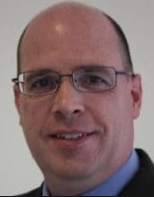 Jason Miller is appointed as Vice President, Sales Support & Market Research. Mr. Miller has over 18 years of expertise in corporate strategy and in market research fields. Prior to ABS, Mr. Miller was a Strategy Advisor for Intelsat and was responsible for market intelligence and business analysis. He also headed the market research function at PanAmSat Corporation. 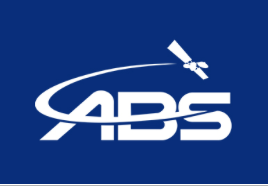 Jim Frownfelter, Chairman and CEO of ABS said that the executive leadership team brings a wealth of knowledge and experience in the satellite and communication space which aligns perfectly with the company’s strategy to accelerate growth and further expand its scope of business and deliverables. The new team and structure further reinforces their commitment to build and extend ABS’s current business for their evolving customers, markets and technologies. The Board of Directors, investors and all of the ABS executives will continue to commit themselves to the success of ABS through a renewed focus on customer service and their priorities for the future. Nic Volpi, Partner, Permira and Board Director, ABS added that Jim Frownfelter is one of the most seasoned industry executives they have come across during their decades of backing businesses in this industry. With his wealth of industry knowledge and strong track record in execution he is well-placed to lead ABS, as CEO, into the next stage of its future evolution. The team looks forward to working with him as he delivers on strategic priorities and continues to achieve sustainable, global growth for the business.